One of the scariest words a business owner (or taxpayer) can hear is “audit.” This in-depth examination of business operations or accounting practices makes clear whether or not you have followed proper procedures, whether you have documented what you’re supposed to have, and whether the claims you make are backed up with proof. Your power to reduce the stress of audits is greater than you imagine. So why would you want to conduct a self-audit of your business? Wouldn’t that be akin to self-torture? The truth is, periodic self-auditing not only keeps your business running on track, it can also sniff out possible internal fraud and can make life much easier if you later audited by an outside agency. Business Process Automation, or BPM software, is the key to straightforward, successful self-auditing, and to preparing your company in case an outside audit should occur. Your BPM software not only helps you ensure that business processes are consistent and thorough, it can create documents to that effect. Moreover, it can be made to do so automatically so at any time you want to learn whether, for example, invoice handling is consistently being carried out properly you can do so. Your IT chief can do a random spot-audit on a piece of software and ensure that the software license is up to date (and remedy the situation if it isn’t). Business processes that are subject to industry or government regulations can be designed to document all necessary steps, so if you have to prove you complied with the regulations you can do so easily. Building auditing functions into processes like taking inventory can help you keep stock levels optimized, and documenting approval cycles can ensure that annual reports have gone through all the proper channels before being published. Whenever you purchase a new software license or subscription to cloud-hosted software, you can build in notifications that automatically email relevant personnel when the license or subscription is a month away from expiring. You could even save and organize business travel receipts so that matching travel reimbursements to claims is always accurate and has associated documentation to back it up. The right BPM tool additionally allows you to build audit capabilities into things like lead nurturing so your sales team is confident all leads are followed up on faithfully, and no potential customers slip through the cracks. 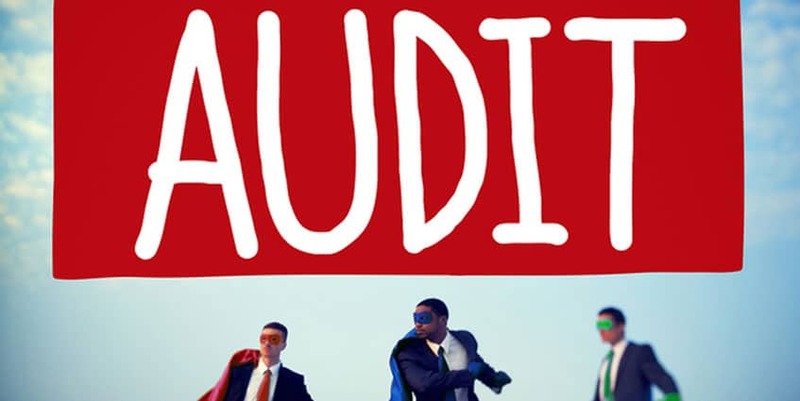 You’ll have your own team of audit superheroes if your business regularly does self-audits. Should you eventually find your business being audited by an outside agency, such as a regulatory agency, a software company, or a governmental entity, you’ll thank yourself for having built self-auditing into your overall business process management. In these cases, gathering documentation can be quick and easy rather than frightening and prolonged. Ideally, your BPM software will have led you to correct problems in processes as they occur, so outside audits will have trouble finding fault with your business practices. And finally, the auditors themselves will have an easier time of it if your business engages in self-auditing than if they’re confronted with an accordion folder full of receipts and sticky notes, and this should work in your favor too. If you think about it, using BPM software to audit your own processes makes sense on several levels. It can help you get a handle on irregularities promptly, so you can fix them and prevent errors from propagating throughout the system. Managers and department heads will have far less worry about what they’ll do in the event of an outside audit and you can be confident that your business is running efficiently and in compliance with your own and others’ requirements. PerfectForms is the BPM workflow software tool your company has waited for. It has the power, flexibility, scalability, and customization capability you need whether you run a law firm, café, or auto parts manufacturer. No programming skills are required to create sleek, sophisticated processes that keep everyone on track and everyone on the same page. Best of all, you can test drive PerfectForms for free with a free trial. See for yourself how much easier it can be to ensure all your business processes fulfill requirements and provide the documentation you need to prove it. This entry was posted on Monday, January 23rd, 2017 at 12:02 pm	and is filed under Workflow. You can follow any responses to this entry through the RSS 2.0 feed.